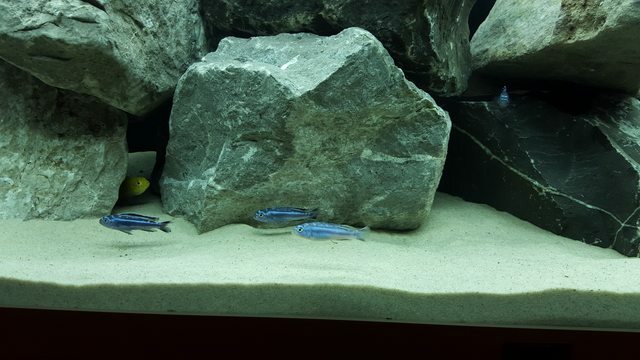 African Cichlid Forum • View topic - Maingano or no maingano? Hi all, just getting back into the hobby after a few years off and trying to find a decent forum for help and support! I have a query regarding my recently purchased maingano's. 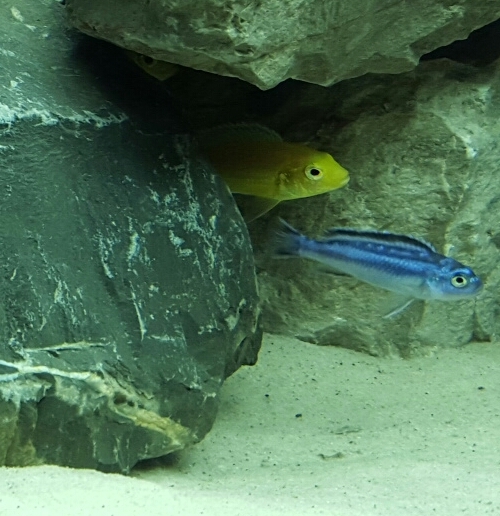 They have been in the tank about a week, all water params are fine etc. After having a closer look today i noticed that one of the five i've been sold (i intend to buy a few more females in the future - not quite sure on what i have at the mo in terms of mf ratio) is quite pale compared to the others, not sure if it actually is a maingano? The other 4 have coloured up nicely although pictures often don't do them justice! 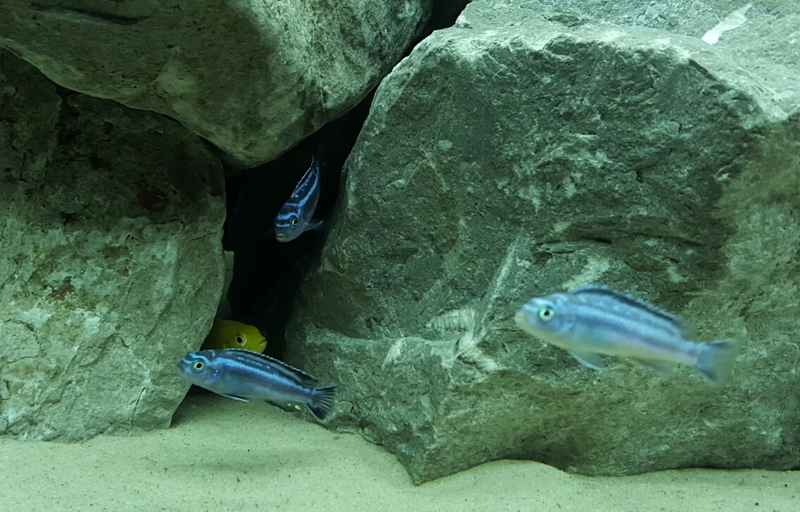 They are all around 4cm i would say so pretty Juvenile. Re: Maingano or no maingano? I've never kept these but I understand colours can be different based on dominance. Had to laugh reading the subject line. They do look like Maingano.